In 1876, Emile Berliner invented the first microphone. Since then, microphones have become an important aspect of our lives. We use microphones far more often than we may even realize. We use them pretty much on a daily basis. Microphones can be found in two-way radios, hearing aids, and are used for radio or television broadcasting. They are so much more an integral part of our lives because we also use them on our phones every day. Microphones can be used to amplify or record sounds. They work by converting sound into mechanical motion, which then becomes an electrical signal. This electrical signal is then transferred to another piece of equipment. For live performances, you’ll most likely want to use a dynamic mic. 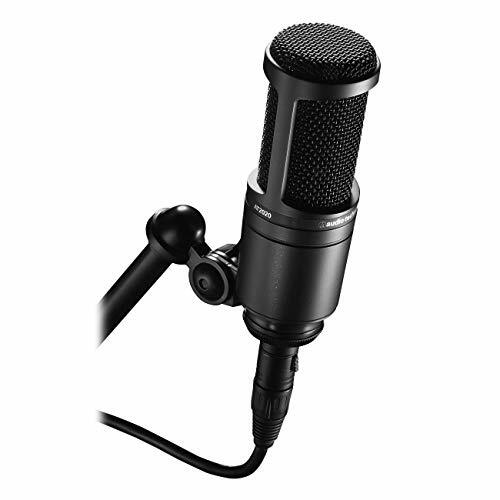 If you’re planning on doing any kind of recording, however, your best bet will be to use a condenser mic. Shopping for a condenser mic can be very overwhelming. There are tons of condenser mics available on the market, and some of them are rather expensive. High cost doesn’t equal high quality, however; so don’t let this fool you. Buying a condenser microphone doesn’t have to be difficult if you’re willing to take a little time to find the right one. We’ve compiled a list of the best condenser microphones of 2016 to help you with your decision. If you’ve been shopping for a condenser microphone, you are already well aware of the countless available options. All of these options can make it difficult to decide which mic to purchase. How can you be sure you’re getting the right mic for your purposes? Reading up on each mic can take a long time, but reading through some reviews might help you find the right microphone. These are the top five best condenser microphones in 2016, according to customer reviews. 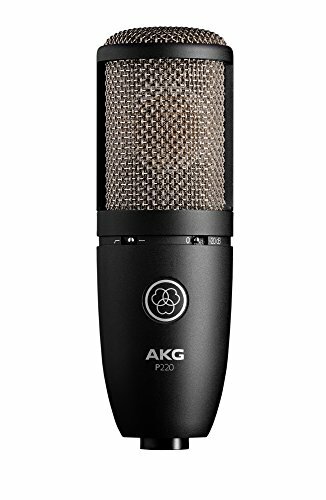 AKG is a top producer of all types of microphones, including condenser mics. The P220 Vocal Condenser Microphone offers a high sensitivity and a one hundred and fifty-five decibel maximum Sound Pressure Level (SPL). It has a wide frequency range from twenty to twenty thousand hertz and a flat frequency response throughout the entire range. This condenser mic has a cardioid pickup pattern and a bass roll-off switch, so you can rely on it to produce great sound no matter where you are. The mic does not have a built-in power source, so it will require phantom power. This mic is great at picking up and reproducing deep sounds without adding any color to them. The P220 microphone comes with an aluminum carrying case and a spider shock mount. It is both versatile and reliable, so you can feel safe taking it with you everywhere you go. 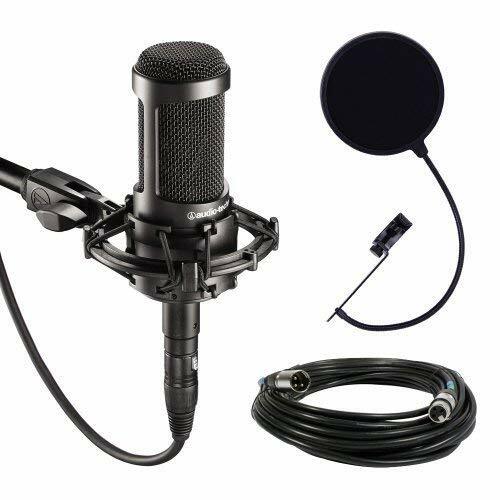 It has an XLR connection capability and a sturdy build, making it suitable for live performances as well as studio recordings. This condenser microphone from Audio-Technica has a large diaphragm to allow for a natural sound even from deep, low noises. It uses a cardioid pickup pattern to help reduce interference from external sounds coming from the side or behind the mic. This also helps the microphone isolate the original sound source in order to improve the sound quality. This microphone has a wide flat response frequency range of twenty to twenty thousand hertz. It has a maximum SPL of one hundred and thirty-six decibels, so it can pick up loud sounds without internal damage. It is made to handle both live performances and studio recordings. The Audio-Technica AT2035 Studio Condenser Microphone comes with a pop filter to help avoid explosive sounds from interfering with the sound quality. It also comes with a microfiber cleaning cloth and a ten-foot XLR connecting cable. It requires an external power source in order to function. 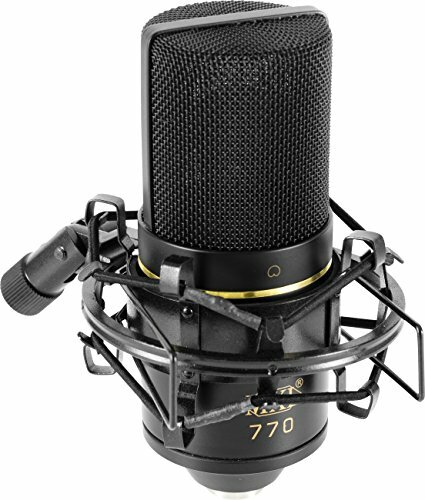 The MXL V67G Large Capsule Condenser Microphone is mainly designed to handle vocals, but is capable of handling other instruments as well. It has a flat response frequency range of thirty to twenty thousand hertz and a one hundred and thirty decibel Maximum SPL. The microphone adds warmth to vocals and provides a crystal clear sound quality. It has a large diaphragm, so it is excellent at picking up quiet sounds. However, it may pick up extra undesired sounds, so it may require a pop filter to help avoid this. It does use a cardioid pickup pattern to help prevent some external sounds from sneaking through. The V67G has a classic tube look and an old school kind of feel. It provides a smooth, pure sound and doesn’t add any distortion or coloring to vocals or instruments. It does not have an internal power source, so it requires phantom power in order to work. It comes with a storage pouch and a mic clip. The Blue Snowball iCE Condenser Microphone is great for those who are looking to use a mic directly with a computer. It was made for podcasts, narration, and vocal or instrument recording. The mic doesn’t require any software to work, but can be plugged directly into your computer’s USB port. This microphone has a flat response frequency range of twenty to twenty thousand hertz and a cardioid pickup pattern for decreased interference. 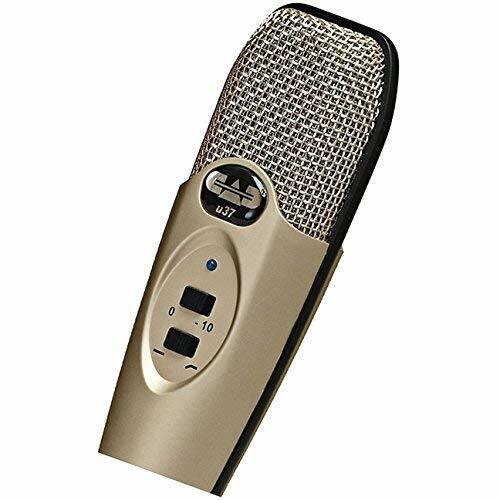 It has a sixteen-bit professional quality USB audio capability, making it far better than a typical built-in mic. The microphone comes with a USB cable and a desktop stand. 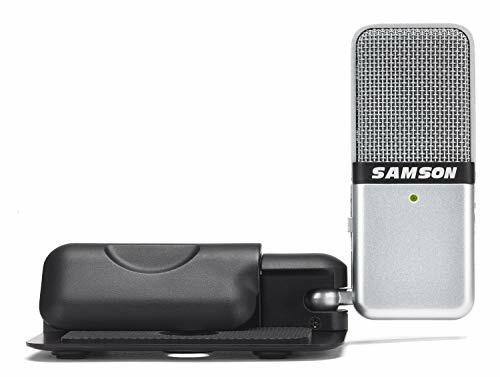 Samson offers a portable condenser microphone that is excellent for anyone who wants to have the ability to upload to or record audio on any computer. This is a USB mic that can be used for a variety of different tasks, including voice recognition and field recording. The Go Mic has both cardioid and omnidirectional pickup patterns that can be switched depending on what you would like to accomplish. It has a sixteen-bit resolution and a flat response frequency range of twenty to eighteen thousand hertz. The microphone can be plugged directly into any computer’s USB port and does not require any software to work. This condenser mic comes features a 1/8” headphone jack, so you can monitor your recording to ensure you’re getting the best possible quality. It comes with a computer clip, a carrying case, and a USB cable. What Makes A Microphone A Condenser? Microphones generally fall under two categories. One of these is the condenser microphone, which E. C. Wente invented in 1916. These microphones have also been called capacitor or electrostatic microphones. These mics have a few distinctive characteristics that identify them as condensers. Condenser microphones have a capacitor or condenser (not the one from Back to the Future) inside them that is made up of two little plates. The front plate is called as the diaphragm. It vibrates when it is hit with sounds waves, thus changing the distance between itself and the other plate. The distance between the plates either increases or decreases the capacitance, resulting in either a charge or discharge current. The capacitor contains electronic circuitry, so in order for it to work it requires a voltage. Depending on the microphone, this voltage will come from either an internal battery or some type of external phantom power. The external power typically comes in the form of a 48volt preamplifier, but can also come from a microphone input found on different types of equipment. The diaphragm is essentially the element that causes a microphone to fall into the condenser category. The diaphragm controls the microphone’s response to sound and the level of the electrical current that passes through the components. Essentially, the diaphragm is what gives a condenser microphone its ability to act as an energy transducer. Condenser microphone diaphragms come in two different sizes and have different functions. A large diaphragm condenser mic is traditionally used for deeper sounds because it has the ability to warm up the sounds and make them richer. Larger diaphragms are typically more sensitive than small diaphragms because they move more and produce a larger output signal. A larger diaphragm will pick up sounds that are quiet or in the distance, making this style a good choice for amplification. A small diaphragm condenser mic is usually chosen in situations where higher frequencies need to be recorded or amplified. Small diaphragms have a better ability to maintain a stable frequency response across the board. They respond more quickly to sound waves than a large diaphragm, giving them a cleaner and more accurate sound. However, smaller diaphragms are also much more fragile than larger diaphragms. Several different audio companies are involved in the condenser microphone business. You may even recognize some of the names of these companies, since they are pretty well known in the audio industry. These common brands offer excellent products, including some of the best condenser mics available. Samson Technologies consists of three distinct brands: Samson Audio, Hartke, and Samson Wireless. Founded in 1980, it quickly grew into a respected audio company. It started as a two-person operation and has since grown into a worldwide industry leader. It currently operates in over one hundred and forty countries throughout the world. Samson originally only offered wireless microphones. They now offer a variety of products that span across all other audio industry outlets. In 2005, it started offering USB microphones, which set the standard for the entire industry. Samson products are used by both music and broadcasting professionals. They are also accessible and affordable for casual users. Samson is dedicated to continued innovation and continues to offer great products. MXL is one of several branches found within the company Marshall Electronics. The main portion of the company lies in California, but it has facilities in several different countries around the world. For almost thirty years now, Marshall Electronics has worked hard to innovate technologies used in both the audio and video industries. The MXL branch of Marshall Electronics provides professional quality microphones. 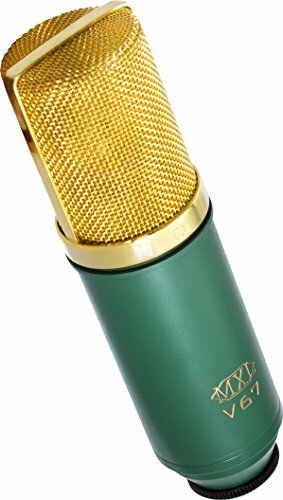 MXL condenser microphones are affordable and reliable, which has made them a go-to choice in the music recording industry. This has also made them popular amongst everyday consumers. These microphones have been used by countless musicians and can be found in many recording studios. Blue Microphones is a newer company than most, but it definitely deserves to be mentioned. Skipper Wise and Mārtiņš Saulespurēns founded it in California in 1995, and then sold it to Transom Capital in 2008. From there, the company was sold to Riverside Company in 2013. Despite these many changes in ownership, the company has remained a serious contender in the audio industry and continues to put out high quality products. Blue Microphones makes condenser mics and other products for both studio purposes and everyday consumers. It has led the way for new innovations and advancements in audio technology, while remaining approachable and affordable. The company is committed to growing with and adapting to the industry as it continues to change. 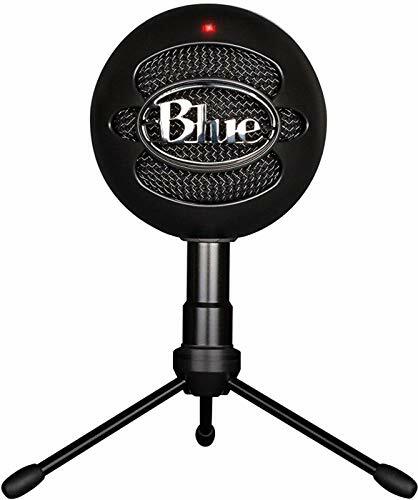 Blue Microphones is dedicated to producing affordable and approachable products for everyone. High Sensitivity: The best condenser microphones will pick up on even the smallest of breaths. While this is a positive in some situations, it also creates the possibility for distortion. For this reason, many people choose to use a pop filter to maintain the quality of sound while eliminating unwanted distortion. Flat Frequency Response: Condenser mics should have an equal response at all frequencies, as well as a wide frequency range. Ideally, the mic will reproduce the sounds as they are without any type of distortion or coloring of the original source. A flat frequency response will allow you to record sounds more efficiently and naturally. Transient Response: A good condenser microphone will be highly responsive to the speed of sound waves. They will also be sensitive to other qualities that sound waves possess, meaning they can reproduce the sounds from a voice or instrument in a more precise fashion. This gives you a crisp, clear sound that is truer to the original sound than it would be with other type of microphones. 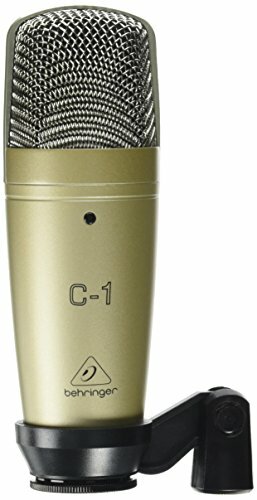 Buying a condenser microphone may seem intimidating at first, but it certainly doesn’t have to be. Once you’ve familiarized yourself with what makes a good condenser mic, you can start to eliminate the microphones that aren’t up to par. This will help you narrow down the list and give you a better idea of which mics are worth a second look. The microphone you choose will largely depend on what you’re planning on using it for. Knowing what different condenser mics are able to handle should help you decide which one is the best one for you. Regardless of which one you choose, condenser mics are made to deliver great sound, so you can rest easy knowing it will get the job done right.